Why did a small Christian Skaters team head to the El Gato Classic? Our goal was to serve as chaplains and to build relationships within the Pro skateboarding community. Christian Skaters is built 100% on relationships. We realize that within skate, relationships are everything. Over the years, we have been blessed to build friendships with pros, company owners, and an amazing global network of believers that share our vision. Although some of those in the industry may not share our faith, we value their contribution to skateboarding and their friendships. We know that others may come to know Christ by how we serve and love others. For this reason, it is important for Christian Skaters to be a support to those in the skateboarding industry. And, Christian Skaters strives to be a bright light in the industry. We know that pro skateboarders have enormous pressure to satisfy their industry sponsors, bring them the spotlight, continue to fuel their careers, juggle family and faith, and to be role models for many. We want to be a resource whom they can turn to when they need prayer and encouragement. This year’s trip was spontaneous and God ordained as four leaders from around the US and Central America joined us in Palm Springs, California. For years, the El Gato Classic has offered us the opportunity to be part of this event. With skate ministry finances always tight, obligations like jobs and family, etc. traveling to this event always seemed impossible. But, this year, God provided a way. A phone call to our friends at the Bible Bowl in Santa Anna launched a skate mission to the desert. Soon we discovered that CS Costa Rica family and Skatechurch Steamboat would also be joining us. 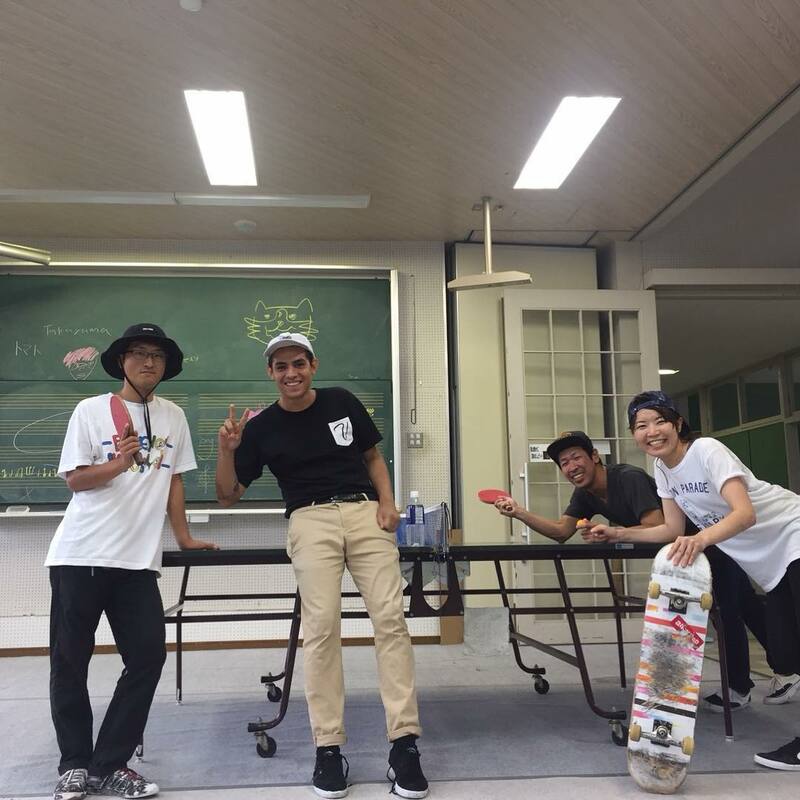 God brought together four solid leaders who have invested much into skate ministry for a day of fellowship, service and more. The El Gato Classic was started by pro skateboarder and pastor Eddie “El Gato” Elguera and his wife Dawn Elguera. Eddie lives locally in Palm Desert. He was an early innovator of vertical skateboarding throughout the late 70’s and 80’s. He was also a two-time world skateboard champion and named Skateboarder of the year in 1979 & 1980. On top of that, Eddie invented several vert tricks including the “Elguerial” and the “Frontside Rock-n-Roll”. Eddie helped advance and inspire the next generation of skaters that became household names including Tony Hawk, Steve Caballero, and Christian Hosoi and he is now investing in a new generation of believers. Tony Del Rio from Christian Skaters Costa Rica with El Gato. Events like El Gato’s have increased in popularity as new skaters are learning about and paying respect to the “founding fathers” of the sport. Because of this the Elgueras were inspired to create a unique event in the Coachella Valley, that catered to this new demographic and united skateboarders across all generations. Within the faith community of Palm Springs, the Elgueras run the Rock church. Through this church, he and his wife have visited our CS Brasil family several times to encourage those serving within skate ministry. 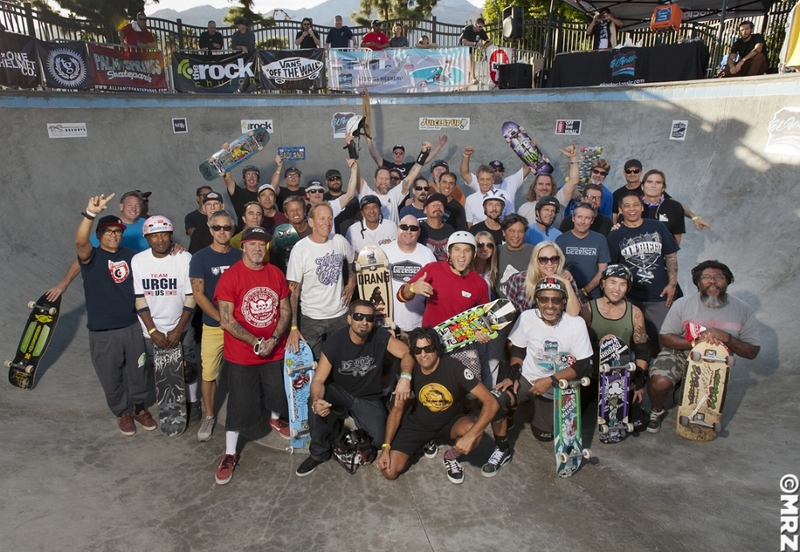 They have been a key part in helping to promote the Skate Bible project in Brasil. Our hope was to encourage those skateboarders who are believers and to continue to build relationships with those within the skate community. We also had the opportunity to spend time with CS leaders from different regions and riders in the California area who have held true to their faith. Uli Frallicciardi, Christian Skaters founder, with the help of the Bible Bowl, traveled to California from Florida. Tony Del Rio made the trip all the way from Costa Rica. Buck Chavarria from Skatechurch Steamboat recently made the transition to live full-time in California. He and local skate legend and owner of the famous Bible Bowl, Dave Kindstrand, made the trip from neighboring areas in California. Each had opportunities to get to know one another better and spend time with those who have influenced the face of skateboarding. Legends like Steve Caballero, Lance Mountain, Mike McGill, Tony Hawk, Christian Hosoi and many others. Art, music and skateboarding have always had a symbiotic relationship. From the art that graces the decks skaters ride to the music that pumps up their adrenaline, they are the trifecta that makes up the community. This year, the El Gato classic hosted several, artist, bands, and creative outlets. William Sharp’s was on site with his new book “Back In The Day”. The book features hundreds of Sharps photos from the early pioneering era of skateboarding. KC Armstrong is a photographer that creates stylized images of athletes and celebrities. KC displayed an amazing showcase of portraits of skateboarding legends that he has photographed over the last few years. L.A. Artist Robert Vargas has played a vital role in revitalizing the Downtown LA art scene. He can often be seen on the street drawing huge portraits that draw crowds to watch. Robert joined the El Gato Classic to display his portraits of skateboarding legends. Many enjoyed the spontaneous live art collab with Vargas & Pops Hosoi. Artist Robert Vargas with his portrait of Lance Mountain with the legend himself. Music included bands like One Less Zero with skateboarder Allen Losi on guitar. His Eyes Have Fangs also performed with legendary skateboarder Tony Alva. Skateboarders also inspired others at the El Gato lV Legends Talk with incredible stories & insights from heavyweights in skateboarding.